Updated Monday November 19, 2018 by SJWB. Flag Football will be happening here on our fields this winter. 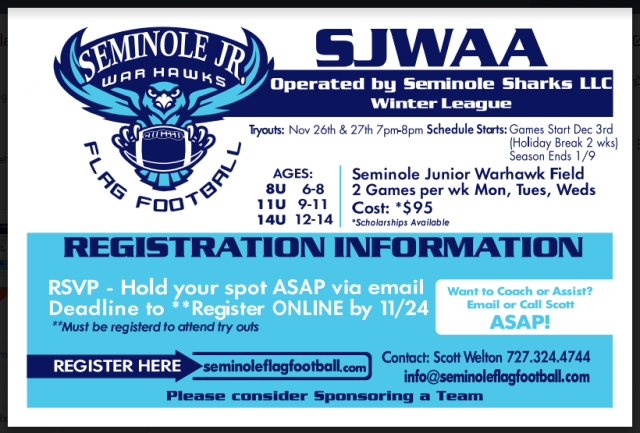 Please note; Seminole Jr Warhawk Baseball endorses but does not run this football league. Please direct any questions to the contact information at the website.